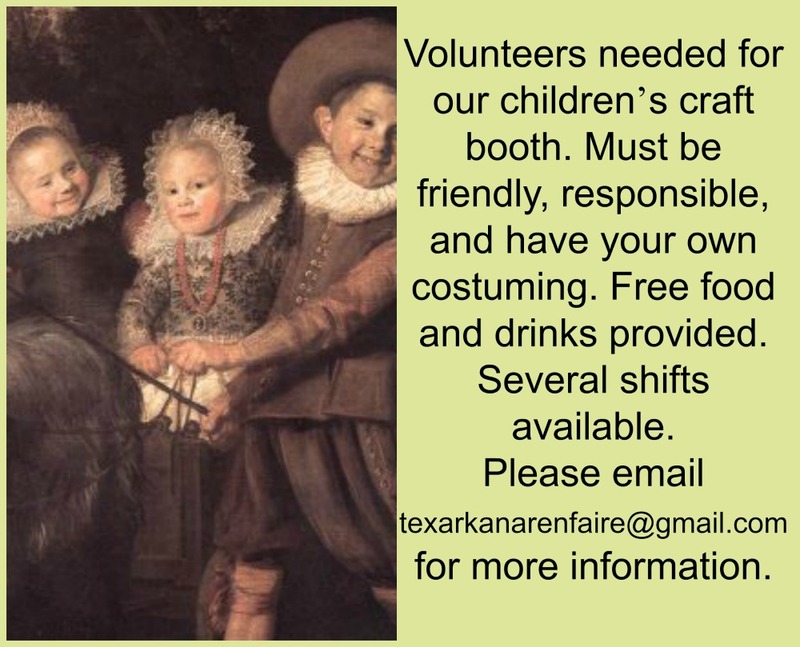 Please contact us a texarkanarenfaire@gmail.com for more information about any of these positions. 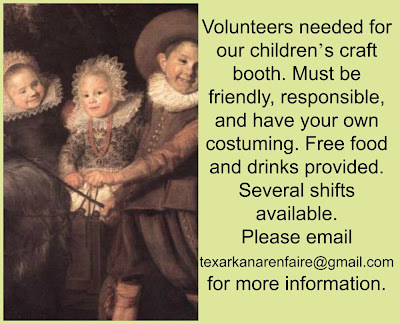 Free food and drink will be provided for all volunteers during their shift. Must have your own costuming. 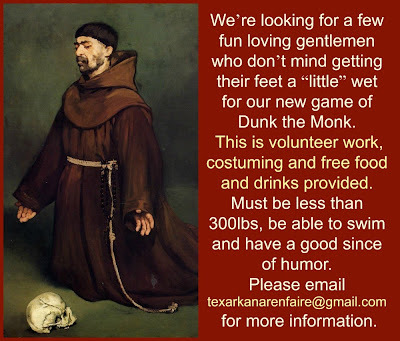 No experience required! We are still accepting applications for merchants for the 2013 Faire, October 4-6. 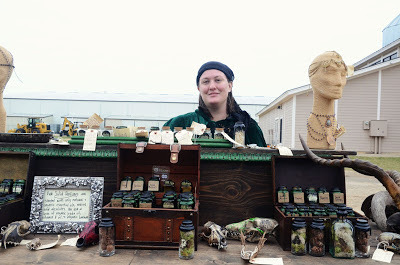 The vendor fee is $100 for all three days of the faire plus $60 if water and electricity is needed. Vendor booth size is unlimited and space is plentiful. 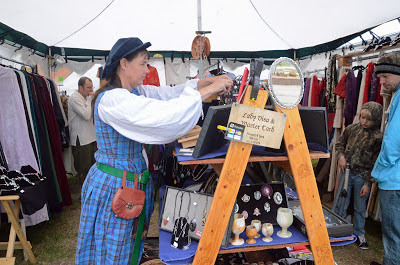 Merchandise must be inspired by the Renaissance Era and food must be served from a tent but vending a trailer might be allowed under certain circumstances. Please contact us at texarkanarenfaire@gmail.com to request your application today! 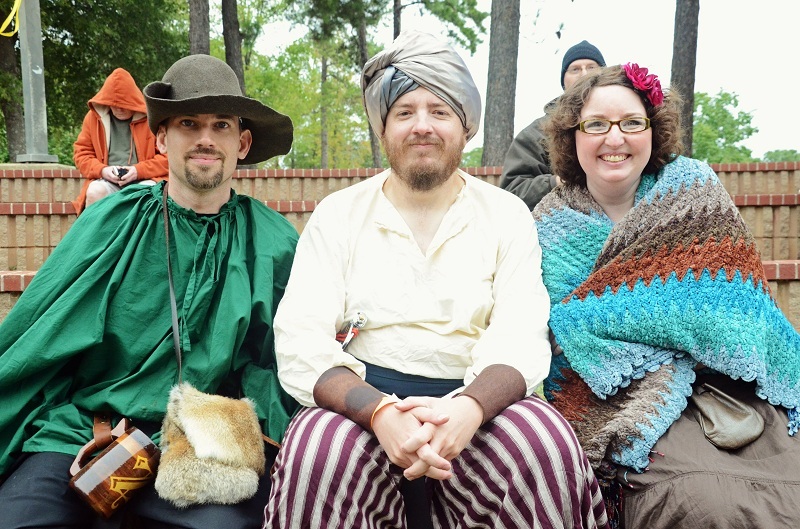 Have you ever been interested in working at a Renaissance Faire? 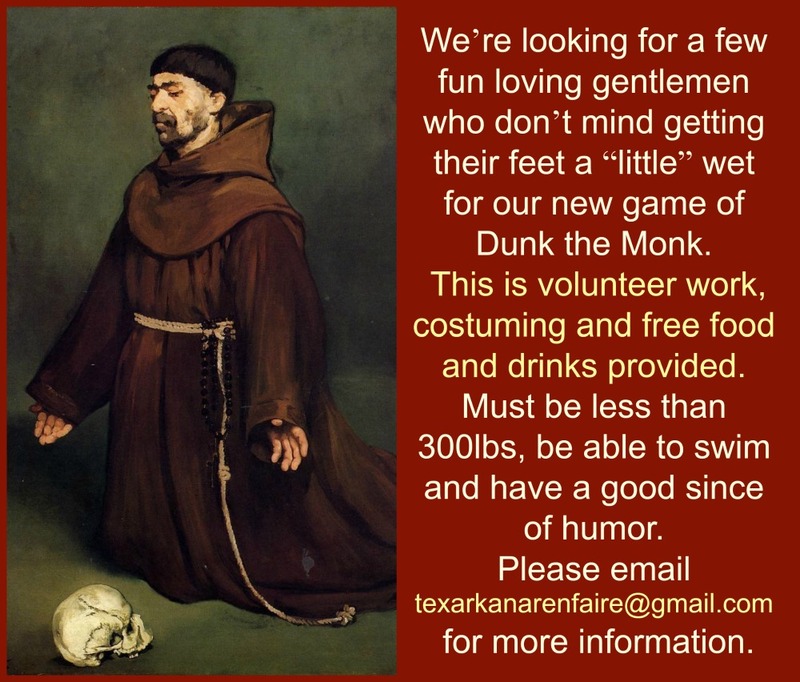 Well, here's your chance! We are currently seeking cast members for the 2013 Texarkana Renaissance Faire. This year we seeking unique characters to occupy our different themed realms! "The village" will be located near the entrance of the faire. This area is for "lower class" characters: peasants, pirates, beggars, bards, wenches, etc. The Villagers will congregate merrily with each other, play games, dance, recite poetry entertain patrons. This area is for fairies and other creatures of fantasy. Play together or perch alone, fantasy creatures are always great fun for children and adults! 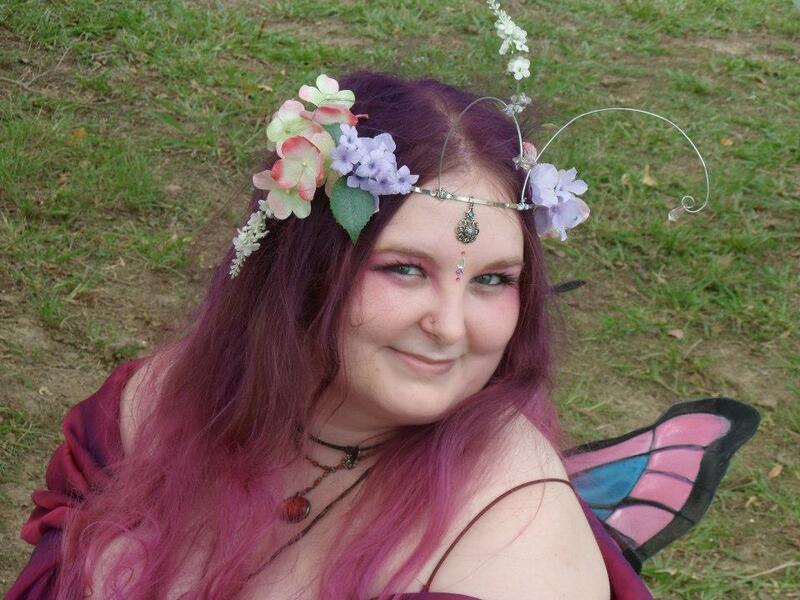 Full of life, music and color, the gypsy camp is guaranteed to become the faire favorite! This realm is for Belly dancers, drummers, gypsies and any gypsy-style musicians. 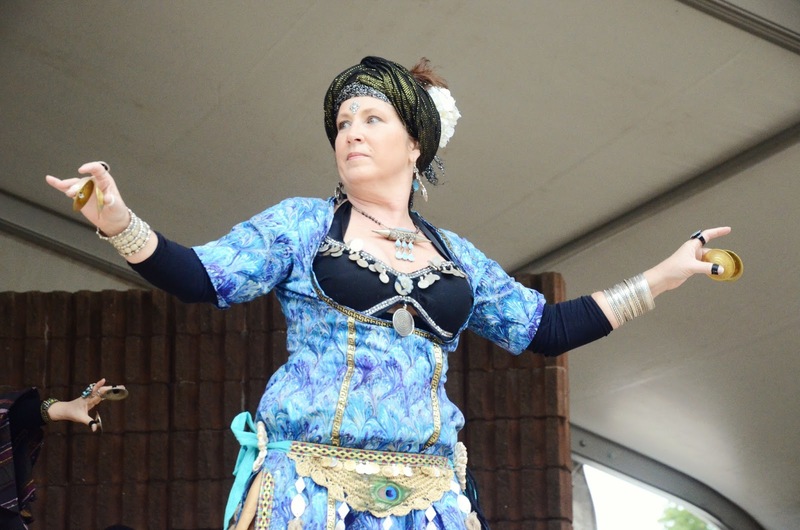 Gypsies must band together to entertain patrons as one vibrant community. This area is for our "upper class" characters. 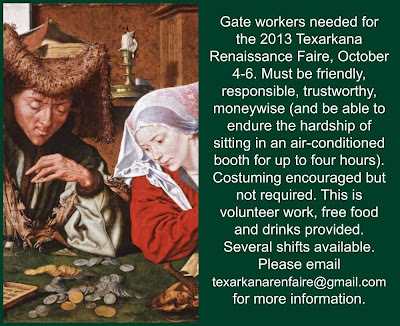 Anyone desiring to be a part of the Royal Courtyard MUST have high quality Renaissance era garb (please no medieval or fantasy costuming). No kings or queens allowed unless you are visiting royalty from another Faire. 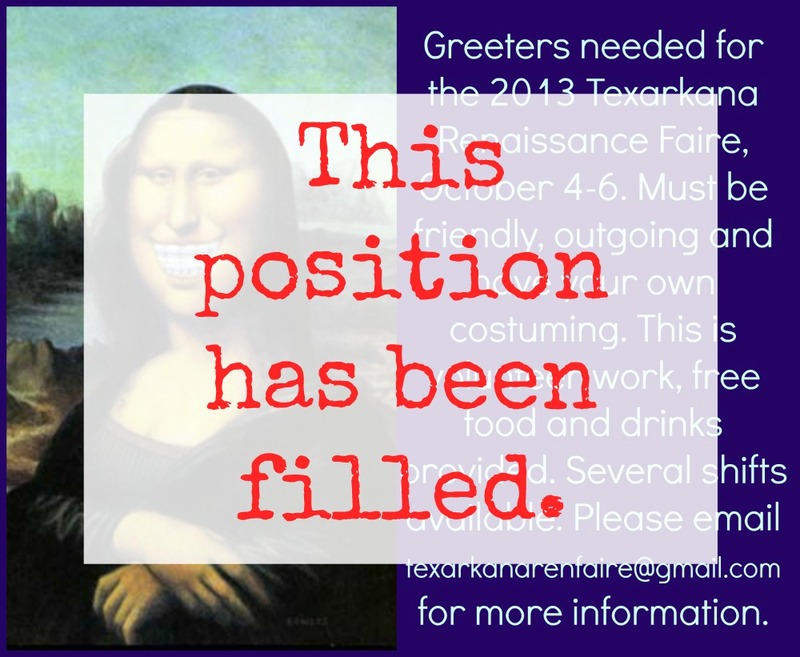 -All cast members must create their own character and have their own costuming and musical instruments. 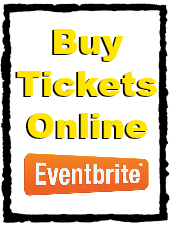 -Even though some decor and props will be provided for this faire we encourage you all to bring period appropriate seating, decor and props. 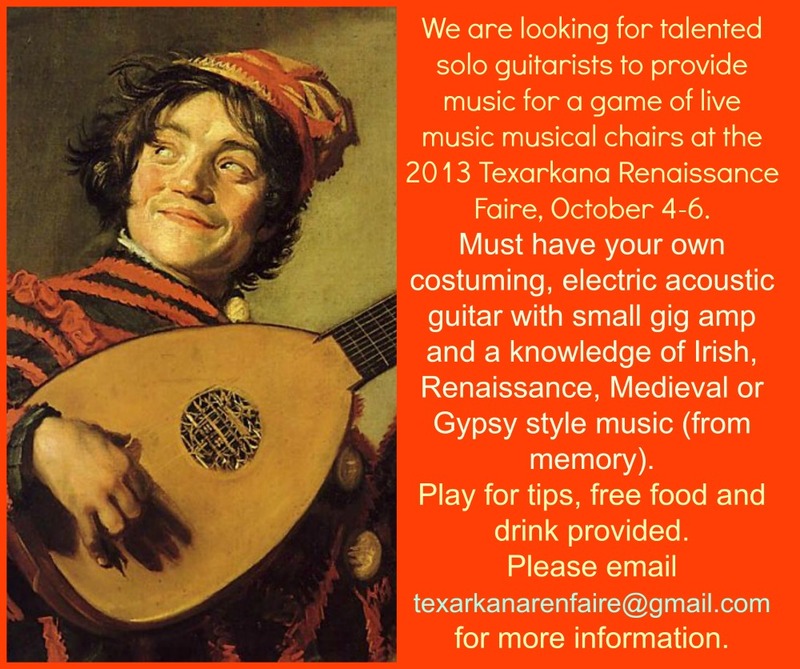 The staff of the Texarkana Renaissance Faire will be hosting Texarkana's first ever beard and moustache competition August 17, 2013 at the Arrow Bar in Texarkana, AR. 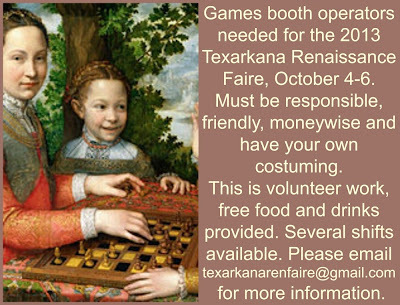 This is a fundraiser for the 2013 Texarkana Renaissance Faire. To enter the contest please be at the Arrow Bar (112 E 5th St, Texarkana, AR across from the Courthouse) at 7pm to sign up. Must be 21+. Space is limited, 10 contestants per category and there is no pre-registration so come on time if you want to compete! A winner will be chosen from each of our 6 categories by a panel of four judges. 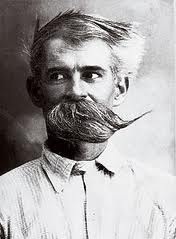 Moustache: The moustache is the hair that grows on the upper lip but can also include hairs growing from elsewhere on the face that are a natural extension of the shape of the moustache. 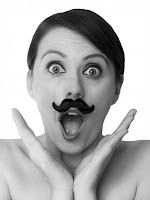 Moustaches can be completely natural or styled. Examples: Fu Manchu, handlebar, horseshoe, toothbrush, etc. 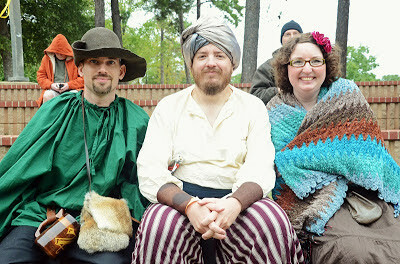 Partial Beard- This category includes all styles of facial hair that are neither full beards nor solely moustaches. "A category for the others". 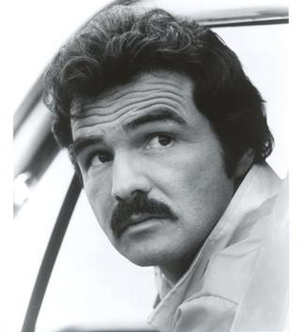 Examples: sideburns, van dykes, goatees, soul patches, mutton chops, and imperials. Groomed Beard- This category is for shorter beards groomed by means of shaving and trimming. There must be an unbroken line of unshaven face from the temple to the chin to the other temple. Styled or natural moustaches allowed. 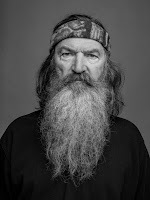 Full Beard Natural- Portions of the cheeks can be partially shaved as can the neck, but there must be an unbroken line of unshaven face from the temple to the chin to the other temple. Length is important, but isn't everything. This category is for beards that have been allowed to achieve their natural fullness, size, shape, and overall impression. No styling aids. Freestyle- sculpt it, spin it, paint it, twirl it. Anything goes. In this category the judges will determine which contestant's facial hair is the most creative and artistic. Costumes encouraged but not mandatory. Ladies – fake it ‘till you make it and be crowned Princess of the 2013 beard and moustache competition. No "finger staches" allowed! Moustache or beard must be on your face.